Despite a grand British tradition that encompasses Kingsley Amis, P.G. Wodehouse, David Lodge, Muriel Spark, Michael Frayn, Beryl Bainbridge and (my favourite) E.F. Benson, it’s such a shame that one rarely come across a really good comic novel these days. I’m not asking for belly laughs, but I do love a droll plot, some well-aimed, but amiable lampoonery and a lightness of touch in the telling. 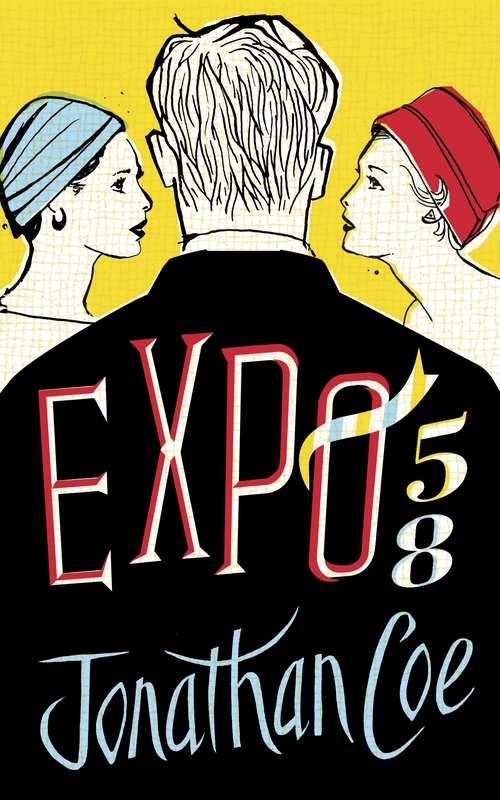 Set against the backdrop of the 1958 World Fair – the ‘Exposition Universelle et Internationale de Bruxelles’ – Expo 58 draws its comedy from the ‘last days of British embarrassedness and uptightness’. Thomas Foley, a handsome (think Dirk Bogarde or Gary Cooper), but unassuming 32-year old civil servant at the Central Office of Information is catapulted from Tooting and ‘the smug quietude of that deathly suburb’ into a six-month stay in Brussels. His mission: to oversee the British exhibits at the Fair, centred upon a replica pub called The Britannia, which has a barmaid called Shirley Knott. Close by, in a ‘Belgian joke’, the Russian and American pavilions at the Fair are placed almost adjacent to one another, and as a result of this Cold War in microcosm, Thomas gets entangled in a rum case of espionage, not to mention the couple of romantic intrigues which leave him on a rather sticky wicket where his humdrum marriage to Sylvia back in Blighty is concerned. It’s not so much Ian Fleming, as Ian Flemish. 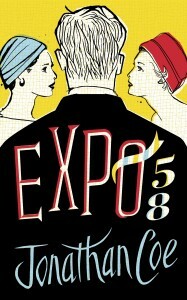 Reading Expo 58 is like watching one of those public information films crossed with an Ealing comedy. There are some dicey moments when events threaten to unspool from the reel (will Tony return to his ‘dearest Syllabub’, or disappear into the continental sunset with a foreign female?) but never are we really in any doubt that, as the closing credits go up, stiff upper lips and the Best of British will have prevailed. Bravo.